Marion’s working life began in the London Insurance Market where she worked in various roles during a career that spanned 17 years. 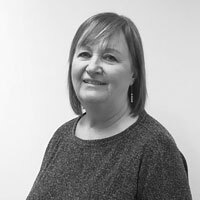 Following a career break to raise her family, Marion joined Allan Reece Associates LLP where she has served as Allan’s PA for the last 22 years. She is also the Office Manager and has responsibility for accounting and credit control. During her spare time, Marion enjoys going to Escape Room experiences, taking her dog for a walk in the Essex countryside and eating Wotsits.